Wow, great news that DCC have refused planning application for Preston New Road! They have gone into adjournment because the planning officer wants valid reasons for their refusal of the second application for for seismic monitoring. They’ve brought the reasons and refused the second application also! A lot of people supporting this campaign have worked hard to provide facts on this dubious industry and the councillors have had a lot to read and they have come to the right decision in our view. 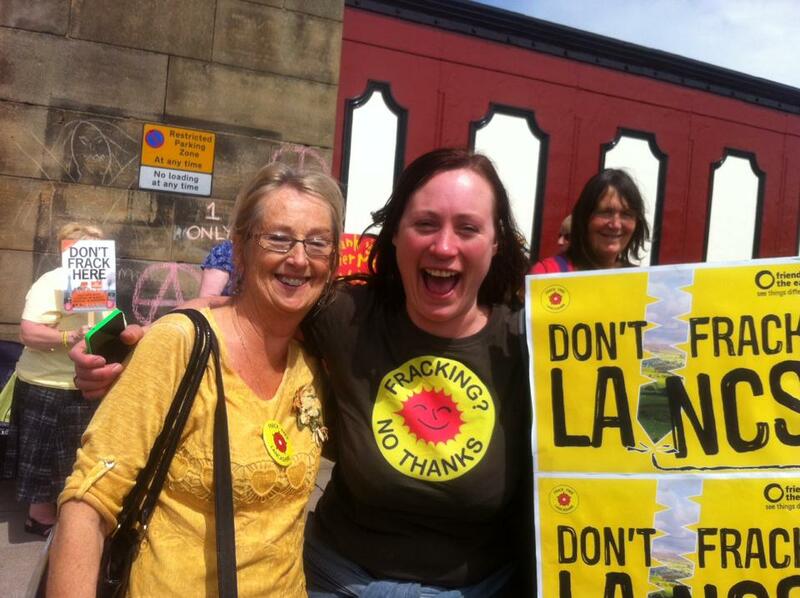 The Nanas are celebrating with fellow campaigners!